Greetings to you in the Name of our Lord Jesus Christ. My name is Alex Post, and I’m the District Life Coordinator for Iowa District East of the Lutheran Church – Missouri Synod. I am called to serve God’s people at Redeemer Lutheran Church in Marshalltown. And I am blessed by God with my wife Esther and our children Logan, Elsa, Nova, and Liam. So what is a District Life Coordinator? A District Life Coordinator helps to make district congregations aware of important life issues in the community, the state, the nation, and the world. A District Life Coordinator is the liaison between district congregations, the Missouri Synod, and affiliated organizations such as Lutherans for Life. 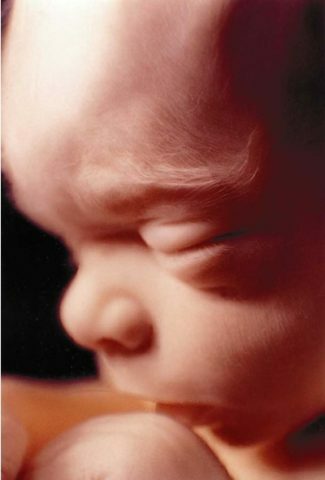 Today, the evils of abortion, suicide, euthanasia, embryonic stem cell experimentation, unjust war, poverty, disease, hunger, and murder end the lives of millions of innocent children, women, and men around the world. Every Christian is called by God to “visit orphans and widows in their affliction” (James 1:27), to tell the world that “the LORD hates…hands that shed innocent blood” (Proverbs 6:16), and to point sinners to our Lord Jesus Christ Who forgives every sin of those who repent and turn from their ways. To that end, we pray every day for God to deliver the unborn, the poor, the elderly, the sick, and the needy from neglect, abuse, and from an evil death. Although our care for those in need begins and ends with God’s Word and prayer, we also use the tools of petition, activism, public witness, and spreading awareness of God’s gift of life – from the womb to the tomb – from conception to natural death. Please email or call me with any ideas or concerns that might help us boldly to proclaim God’s gift of life for all people, of all ages, everywhere!